Most domestic orders take anywhere from 2 to 10 business days to arrive unless specified on the item’s description. International shipping delivery times may vary between 2 and 12 weeks. Since most of our products are custom made and to keep prices affordable, we have a strict No Returns Policy. However, we will take exchanges at Buyer’s cost within 7 days of shipment. Sale items and items using promo codes are ALL FINAL SALE. Big Cartel checkout process is powered by both Stripe and PayPal, (two of the most secured online payment on the web.) We accept PayPal using via debit card as well. We accept Mastercard, Visa card and American Express. Most definitely. We ship Worldwide. Any problems, questions and concerns? 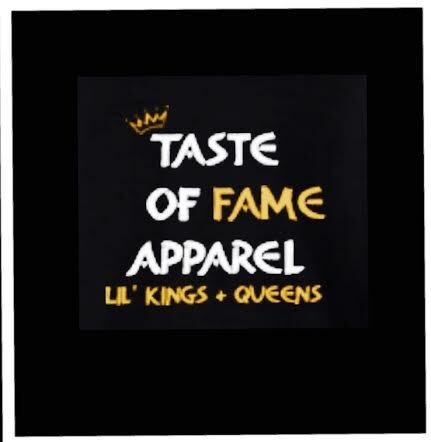 Please contact the store under the Contact page or email us at tasteoffameapparel@gmail.com We will gladly respond within 24-48 hours of receiving your email. NOTE: Taste of Fame Apparel will not be held responsible for items lost, stolen, or damaged during transit.